“In fact, the only thing that really bothered [Sean Parker] about the site was the ‘the’ in the name. It wasn’t necessary. He hated unnecessary things.” –Excerpt from Chapter 22 of Accidental Billionaires. Why the respondent is acting in bad faith. Why your company is not acting in bad faith. III. The class as a whole will play the role of the WIPO arbitration panel and will thus decide the outcome of this case. 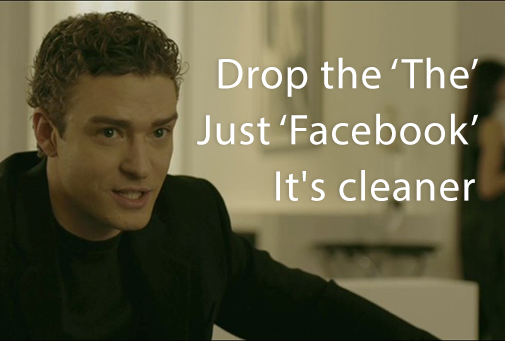 But somebody already owns the domain name “facebook.com”! This entry was posted in Law, Web/Tech. Bookmark the permalink.